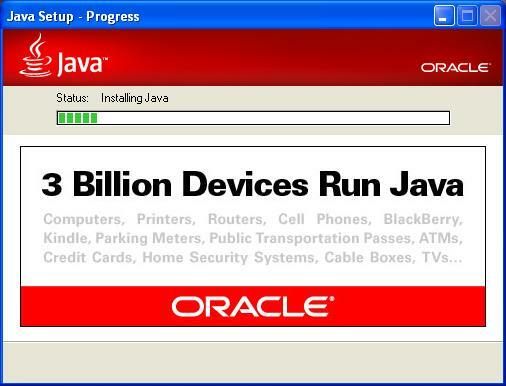 I was installing the latest security patch provided by Oracle and this banner caught my eyes. The patch had fixes for some of the recent security issues raised on Java. Some of the recent security lapses in Java are highlighted in the posts below. It is Pretty scary to think that all of those 3 Billion machines are unsafe! Oracle is doing what it does the best. Purchase a company and kill it! I miss SUN. This entry was posted in Technical and tagged Java, Oracle, SUN, Technical. Bookmark the permalink.